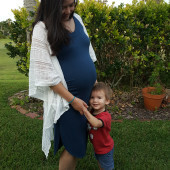 We can't wait to meet baby Ian Miguel. We have been blessed with a litte boy once again and are so excited to have him share with his big brother Connor. But there are some things that can't be re-used, so we are going to need another. Thank you for looking at our registry!